With the backing of the ACPI, the Editorial Board plunged themselves into the stream of the ACPI Encyclopedia of Philosophy (AEP) without quite knowing how deep it was, but fully knowing the ready availability of generous ‘divers’ ever willing to help. Now that the other shore—the Completion of the Encyclopedia—is reached, I, on behalf of the Editorial Board, gratefully look back at those persons and institutions that extended a helping hand in this endeavour. But for the moral support and cooperation of the members of the ACPI, we would not have ventured into this project. Most of the members have contributed articles as well. The writers are not limited to the ACPI-members; many of the writers are from different universities in India and abroad. Some of the writers were prepared to do research and to contribute articles on different themes, even at short notice. 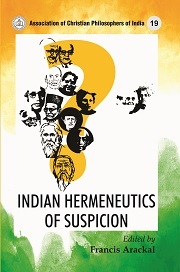 The Editorial Board is immensely grateful to every contributor of entries for the AEP; and we are very much encouraged by the overwhelming support that we received towards this project from the philosophical elite of India. What the contributors have written had to be given a refining touch by the Editors. The Editorial Team—some of them have been in it from the beginning, and the others were later co-opted—worked in unison. Despite the respective responsibilities they hold, all of them gave their undiluted cooperation and unsparing service in the editorial work. 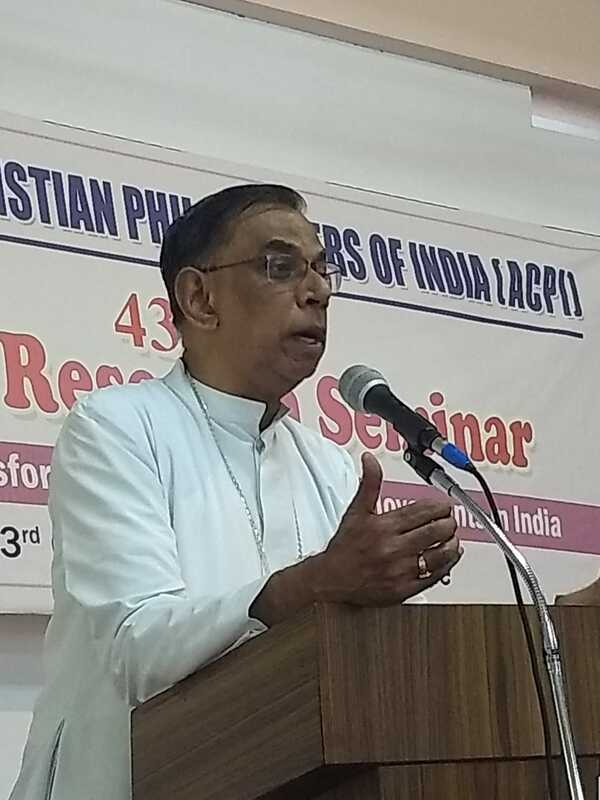 In a very special way I have to make mention of Dr. George Panthanmackel (the present President of the ACPI), who has been very much the life-force behind this venture. As the idea of an Encyclopedia was suggested by him, he has a special interest in seeing it through. The commitment, sincerity and generosity, with which he has been working for this project, is simply inimitable. I am most beholden to him and to all the members of the Editorial Board. 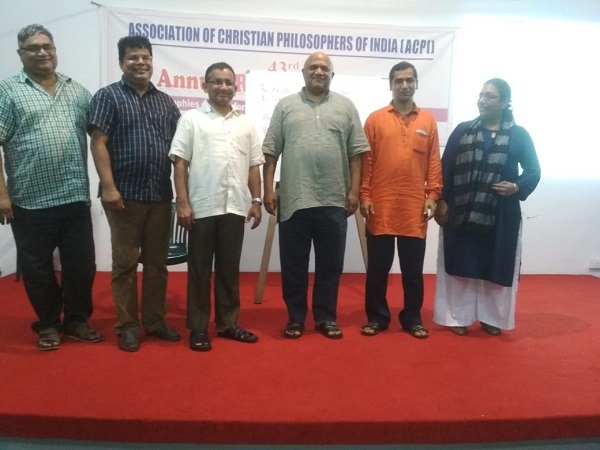 The gestation-period of the ACPI Encyclopedia of Philosophy (AEP) was spent at Suvidya College (Bangalore), which provided the conducive and protective atmosphere of a ‘maternal womb’ for it to develop and to be born. Almost all the meetings related to the editorial work were organized and generously sponsored by Suvidya College. I carry fond memories of the several months I, as the editor-in-chief, spent at Suvidya. The ACPI and the AEP editorial board remain ever grateful to the Rector (Dr. Jolly Chakkalakkal, MSFS), the Staff and the Students of Suvidya College for making everyone and everything available for the editorial work. For the publication of its books ACPI has been working in collaboration with Asian Trading Corporation, Bangalore (ATC) for the past several years. In the light of our past experience, ATC was our first choice to be the publisher of the ACPI Encyclopedia of Philosophy. The Managing Partner of ATC, Nigel Fernandes, and his team, who took personal interest in making sure that AEP is brought out with exquisite perfection and remarkable efficiency, are gratefully remembered. Many are the persons, who with their expertise and generosity, rendered their service in areas like language editing, proofreading, technical assistance, indexing, etc. The members of the MSFS Congregation, especially the Suvidya-Community, were at the forefront with their ready service. Their service is gratefully acknowledged. It is Missionswissenschaftliches Institut Missio e.V. (Aachen) that has been gradually empowering ACPI to reach this stage with their occasional financial assistance. For the publication of the ACPI Encyclopedia of Philosophy too, Missio has substantially helped. But because of the increase in the cost of production due to various reasons, we had to look for willing sponsors from India; the response has been very positive. While thanking Missio and the various sponsors, we give below the list of the sponsors who have made a substantial contribution. 7.St. John’s Province (CMI), Jalalabad, U.P.